Chapter 7A - Judicial Department. § 7A-2. Purpose of Chapter. § 7A-3. Judicial power; transition provisions. § 7A-4. Composition and organization. Article 1A - Retention Elections. § 7A-4.2. Retention approval; failure to retain. § 7A-4.3. Reserved for future codification purposes. § 7A-4.4. Reserved for future codification purposes. § 7A-4.5. Reserved for future codification purposes. § 7A-4.6. Reserved for future codification purposes. § 7A-4.7. Reserved for future codification purposes. § 7A-4.8. Reserved for future codification purposes. § 7A-4.9. Reserved for future codification purposes. § 7A-4.10. Reserved for future codification purposes. § 7A-4.11. Reserved for future codification purposes. § 7A-4.12. Reserved for future codification purposes. § 7A-4.13. Reserved for future codification purposes. § 7A-4.14. Reserved for future codification purposes. § 7A-4.15. Reserved for future codification purposes. § 7A-4.16. Reserved for future codification purposes. § 7A-4.17. Reserved for future codification purposes. § 7A-4.18. Reserved for future codification purposes. § 7A-4.19. Reserved for future codification purposes. Article 1B - Age Limits for Service as Justice or Judge. § 7A-4.20. Age limit for service as justice or judge: exception. § 7A-4.21. Validation of official actions of district court judges of twenty-fifth judicial district performed after mandatory retirement age. Article 2 - Appellate Division Organization. § 7A-6. Appellate division reporters; reports. § 7A-7. Law clerks; secretaries and stenographers. § 7A-8. Reserved for future codification purposes. § 7A-9. Reserved for future codification purposes. Article 3 - The Supreme Court. § 7A-10. Organization; compensation of justices. § 7A-10.1. Authority to prescribe standards of judicial conduct. § 7A-11. Clerk of the Supreme Court; salary; bond; fees; oath. § 7A-12. Supreme Court marshal. § 7A-13. Supreme Court library; functions; librarian; library committee; seal of office. § 7A-14. Reprints of Supreme Court Reports. § 7A-15. Reserved for future codification purposes. Article 4 - Court of Appeals. § 7A-16. Creation and organization. § 7A-17: Repealed by Session Laws 1969, c. 1190, s. 57. § 7A-18. Compensation of judges. § 7A-19. Seats and sessions of court. § 7A-20. Clerk; oath; bond; salary; assistants; fees. § 7A-21. Marshal; powers; salary. § 7A-22. Reserved for future codification purposes. § 7A-23. Reserved for future codification purposes. § 7A-24. Reserved for future codification purposes. § 7A-25. Original jurisdiction of the Supreme Court. § 7A-26. Appellate jurisdiction of the Supreme Court and the Court of Appeals. § 7A-27. Appeals of right from the courts of the trial divisions. § 7A-28. Decisions of Court of Appeals on post-trial motions for appropriate relief, valuation of exempt property, or courts-martial are final. § 7A-29. Appeals of right from certain administrative agencies. § 7A-30. Appeals of right from certain decisions of the Court of Appeals. § 7A-31. Discretionary review by the Supreme Court. § 7A-31.1. Discretionary Review by the Court of Appeals. § 7A-32. Power of Supreme Court and Court of Appeals to issue remedial writs. § 7A-33. Supreme Court to prescribe appellate division rules of practice and procedure. § 7A-34. Rules of practice and procedure in trial courts. § 7A-34.1: Repealed by Session Laws 2011-145, s. 31.23(f), effective July 1, 2011. § 7A-35. Repealed by Session Laws 1971, c. 377, s. 32. § 7A-36. Repealed by Session Laws 1969, c. 1190, s. 57. § 7A-37: Repealed by Session Laws 1993, c. 553, s. 1. § 7A-37.1. Statewide court-ordered, nonbinding arbitration in certain civil actions. § 7A-38: Repealed by Session Laws 1995, c. 500, s. 3. § 7A-38.1. Mediated settlement conferences in superior court civil actions. § 7A-38.2. Regulation of mediators and other neutrals. § 7A-38.3. Prelitigation mediation of farm nuisance disputes. § 7A-38.3A. Prelitigation mediation of insurance claims. § 7A-38.3B. Mediation in matters within the jurisdiction of the clerk of superior court. § 7A-38.3C: Repealed by Session Laws 2007-491, s. 4, effective August 21, 2007. § 7A-38.3D. Mediation in matters within the jurisdiction of the district criminal courts. § 7A-38.3E. Mediation of public records disputes. § 7A-38.3F. Prelitigation mediation of condominium and homeowners association disputes. § 7A-38.4: Repealed by Session Laws 2001-320, s. 1. § 7A-38.4A. Settlement procedures in district court actions. § 7A-38.5. Community mediation centers. § 7A-38.6: Repealed by Session Laws 2014-100, s. 18B.1(g), effective July 1, 2014. § 7A-38.7. Dispute resolution fee for cases referred to mediation. § 7A-39. Cancellation of court sessions and closing court offices; extension of statutes of limitations and other emergency orders in catastrophic conditions. Article 6 - Retirement of Justices and Judges of the Appellate Division; Retirement Compensation; Recall to Emergency Service; Disability Retirement. § 7A-39.1. Justice, emergency justice, judge and emergency judge defined. § 7A-39.2. Age and service requirements for retirement of justices of the Supreme Court and judges of the Court of Appeals. § 7A-39.3. Retired justices and judges may become emergency justices and judges subject to recall to active service; compensation for emergency justices and judges on recall. § 7A-39.4. Retirement creates vacancy. § 7A-39.5. Recall of emergency justice or emergency judge upon temporary incapacity of a justice or judge. § 7A-39.6. Application to the Governor; commission as emergency justice or emergency judge. § 7A-39.7. Jurisdiction and authority of emergency justices and emergency judges. § 7A-39.8. Court authorized to adopt rules. § 7A-39.9. Chief Justice and Chief Judge may recall and terminate recall of justices and judges; procedure when Chief Justice or Chief Judge incapacitated. § 7A-39.10. Article applicable to previously retired justices. § 7A-39.11. Retirement on account of total and permanent disability. § 7A-39.12. Applicability of §§ 7A-39.2 and 7A-39.11. § 7A-39.13. Recall of active and emergency justices and judges who have reached mandatory retirement age. § 7A-39.14. Recall by Chief Justice of retired or emergency justices or judges for temporary vacancy. § 7A-39.15. Emergency recall judges of the Court of Appeals. § 7A-40. Composition; judicial powers of clerk. § 7A-41. Superior court divisions and districts; judges. § 7A-41.1. District and set of districts defined; senior resident superior court judges and their authority. § 7A-41.2. Nomination and election of regular superior court judges. § 7A-42. Sessions of superior court in cities other than county seats. § 7A-43. Reserved for future codification purposes. §§ 7A-43.1 through 7A-43.3. Repealed by Session Laws 1967, c. 1049, s. 6. § 7A-44. Salary and expenses of superior court judge. § 7A-44.1. Secretarial and clerical help. § 7A-45: Repealed by Session Laws 1987, c. 509, s. 7, effective January 1, 1989. § 7A-45.2. Emergency special judges of the superior court; qualifications, appointment, removal, and authority. § 7A-45.3. Superior court judges designated for complex business cases. § 7A-45.4. Designation of complex business cases. § 7A-45.5: Repealed by Session Laws 2017-57, s. 18B.4(a), effective June 28, 2017. § 7A-47. Powers of regular judges holding courts by assignment or exchange. § 7A-47.1. Jurisdiction in vacation or in session. § 7A-47.2. Repealed by Session Laws 1987 (Reg. Sess., 1988), c. 1037,s. 8. § 7A-47.3. Rotation and assignment; sessions. § 7A-48. Jurisdiction of emergency judges. § 7A-49. Orders returnable to another judge; notice. § 7A-49.1. Disposition of motions when judge disqualified. § 7A-49.2. Civil business at criminal sessions; criminal business at civil sessions. § 7A-49.3. Repealed by Session Laws 1999-428, s. 2. § 7A-49.4. Superior court criminal case docketing. § 7A-49.5. Statewide electronic filing in courts. Article 8 - Retirement of Judges of the Superior Court; Retirement Compensation for Superior Court Judges; Recall to Emergency Service of Judges of the District and Superior Court; Disability Retirement for Judges of the Superior Court. § 7A-50. Emergency judge defined. § 7A-51. Age and service requirements for retirement of judges of the superior court and of the Administrative Officer of the Courts. § 7A-52. Retired district and superior court judges may become emergency judges subject to recall to active service; compensation for emergency judges on recall. § 7A-53. Application to the Governor; commission as emergency judge. § 7A-53.1. Jurisdiction of emergency district court judges. § 7A-54. Article applicable to judges retired under prior law. § 7A-55. Retirement on account of total and permanent disability. § 7A-56. Applicability of §§ 7A-51 and 7A-55. § 7A-57. Recall of active and emergency trial judges who have reached mandatory retirement age. § 7A-58. Reserved for future codification purposes. § 7A-59. Reserved for future codification purposes. Article 9 - District Attorneys and Prosecutorial Districts. § 7A-60. District attorneys and prosecutorial districts. § 7A-61. Duties of district attorney. § 7A-62. Acting district attorney. § 7A-63. Assistant district attorneys. § 7A-64. Temporary assistance for district attorneys. § 7A-65. Compensation and allowances of district attorneys and assistant district attorneys. § 7A-66. Removal of district attorneys. § 7A-66.1. Office of solicitor may be denominated as office of district attorney; "solicitor" and "district attorney" made interchangeable; interchangeable use authorized in proceedings, documents, and quotations. § 7A-67. Repealed by Session Laws 1971, c. 377, s. 32. § 7A-69.1: Repealed by Session Laws 1985 (Reg. Sess., 1986), c. 998, s. 3. § 7A-70. Reserved for future codification purposes. § 7A-71. Reserved for future codification purposes. § 7A-72. Reserved for future codification purposes. § 7A-73. Reserved for future codification purposes. § 7A-74. Reserved for future codification purposes. § 7A-75. Reserved for future codification purposes. § 7A-76. Reserved for future codification purposes. § 7A-77. Reserved for future codification purposes. § 7A-78. Reserved for future codification purposes. § 7A-79. Reserved for future codification purposes. § 7A-80. Reserved for future codification purposes. § 7A-81. Reserved for future codification purposes. § 7A-82. Reserved for future codification purposes. § 7A-83. Reserved for future codification purposes. § 7A-84. Reserved for future codification purposes. § 7A-85. Reserved for future codification purposes. § 7A-86. Reserved for future codification purposes. § 7A-87. Reserved for future codification purposes. § 7A-88. Reserved for future codification purposes. § 7A-89. Reserved for future codification purposes. § 7A-90. Reserved for future codification purposes. § 7A-91. Reserved for future codification purposes. § 7A-92. Reserved for future codification purposes. § 7A-93. Reserved for future codification purposes. § 7A-94. Reserved for future codification purposes. Article 11 - Special Regulations. § 7A-95. Reporting of trials. § 7A-96. Court adjourned by sheriff when judge not present. § 7A-97. Court's control of argument. § 7A-98. Reserved for future codification purposes. § 7A-99. Reserved for future codification purposes. Article 12 - Clerk of Superior Court. § 7A-100. Election; term of office; oath; vacancy; office and office hours; appointment of acting clerk. § 7A-102. Assistant and deputy clerks; appointment; number; salaries; duties. § 7A-102.1. Transfer of sick leave earned as county or municipal employees by certain employees in offices of clerks of superior court. § 7A-103. Authority of clerk of superior court. § 7A-104. Disqualification; waiver; removal; when judge acts. § 7A-105. Suspension, removal, and reinstatement of clerk. § 7A-106. Custody of records and property of office. § 7A-107. Bonds of clerks, assistant and deputy clerks, and employees of office. § 7A-108. Accounting for fees and other receipts; audit. § 7A-109.1. List of prisoners furnished to judges. § 7A-109.2. (Contingent expiration date - see notes) Records of dispositions in criminal cases. § 7A-109.3. Delivery of commitment order. § 7A-109.4. Records of offenses involving impaired driving. § 7A-110: Repealed by Session Laws 2015-40, s. 7, effective July 1, 2015. § 7A-111. Receipt and disbursement of insurance and other moneys for minors and incapacitated adults. § 7A-112. Investment of funds in clerk's hands. § 7A-112.1. Deposit of money held by clerks. § 7A-113. Bookkeeping and accounting systems equipment. § 7A-114. Where practical, provision of secure area for domestic violence victims waiting for hearing. § 7A-115. Reserved for future codification purposes. § 7A-116. Reserved for future codification purposes. § 7A-117. Reserved for future codification purposes. § 7A-118. Reserved for future codification purposes. § 7A-119. Reserved for future codification purposes. § 7A-120. Reserved for future codification purposes. § 7A-121. Reserved for future codification purposes. § 7A-122. Reserved for future codification purposes. § 7A-123. Reserved for future codification purposes. § 7A-124. Reserved for future codification purposes. § 7A-125. Reserved for future codification purposes. § 7A-126. Reserved for future codification purposes. § 7A-127. Reserved for future codification purposes. § 7A-128. Reserved for future codification purposes. § 7A-129. Reserved for future codification purposes. Article 13 - Creation and Organization of the District Court Division. § 7A-130. Creation of district court division and district court districts; seats of court. § 7A-131. Establishment of district courts. § 7A-132. Judges, district attorneys, full-time assistant district attorneys and magistrates for district court districts. § 7A-133. Numbers of judges by districts; numbers of magistrates and additional seats of court, by counties. § 7A-134. Repealed by Session Laws 1973, c. 1339, s. 2. § 7A-135. Transfer of pending cases when present inferior courts replaced by district courts. § 7A-136. Reserved for future codification purposes. § 7A-137. Reserved for future codification purposes. § 7A-138. Reserved for future codification purposes. § 7A-139. Reserved for future codification purposes. Article 14 - District Judges. § 7A-140. Number; election; term; qualification; oath. § 7A-141. Designation of chief judge; assignment of judge to another district for temporary or specialized duty. § 7A-142. Vacancies in office. § 7A-143. Repealed by Session Laws 1973, c. 148, s. 6. § 7A-145. Repealed by Session Laws 1971, c. 377, s. 32. § 7A-146. Administrative authority and duties of chief district judge. § 7A-148. Annual conference of chief district judges. § 7A-150. Reserved for future codification purposes. § 7A-151. Reserved for future codification purposes. § 7A-152. Reserved for future codification purposes. § 7A-153. Reserved for future codification purposes. § 7A-154. Reserved for future codification purposes. § 7A-155. Reserved for future codification purposes. § 7A-156. Reserved for future codification purposes. § 7A-157. Reserved for future codification purposes. § 7A-158. Reserved for future codification purposes. § 7A-159. Reserved for future codification purposes. Article 15 - District Prosecutors. §§ 7A-160 through 7A-165: Repealed by Session Laws 1967, c. 1049, s. 6. § 7A-166. Reserved for future codification purposes. § 7A-167. Reserved for future codification purposes. § 7A-168. Reserved for future codification purposes. § 7A-169. Reserved for future codification purposes. § 7A-170. Nature of office and oath; age limit for service. § 7A-171. Numbers; appointment and terms; vacancies. § 7A-171.1. Duty hours, salary, and travel expenses within county. § 7A-171.2. Qualifications for nomination or renomination. § 7A-172. Repealed by Session Laws 1977, c. 945, s. 5. § 7A-173. Suspension; removal; reinstatement. § 7A-175. Records to be kept. § 7A-176. Office of justice of the peace abolished. § 7A-177. Training course in duties of magistrate. § 7A-178. Magistrate as child support hearing officer. § 7A-179. Reserved for future codification purposes. Article 17 - Clerical Functions in the District Court. § 7A-180. Functions of clerk of superior court in district court matters. § 7A-181. Functions of assistant and deputy clerks of superior court in district court matters. § 7A-182. Clerical functions at additional seats of court. § 7A-183. Clerk or assistant clerk as child support hearing officer. § 7A-184. Reserved for future codification purposes. § 7A-185. Reserved for future codification purposes. § 7A-186. Reserved for future codification purposes. § 7A-187. Reserved for future codification purposes. § 7A-188. Reserved for future codification purposes. § 7A-189. Reserved for future codification purposes. Article 18 - District Court Practice and Procedure Generally. § 7A-190. District courts always open. § 7A-191. Trials; hearings and orders in chambers. § 7A-191.1. Recording of proceeding in which defendant pleads guilty or no contest to felony in district court. § 7A-192. By whom power of district court to enter interlocutory orders exercised. § 7A-193. Civil procedure generally. § 7A-194. Repealed by Session Laws 1977, c. 711, s. 33. § 7A-195. Repealed by Session Laws 1969, c. 911, s. 5. § 7A-198. Reporting of civil trials. § 7A-199. Special venue rule when district court sits without jury in seat of court lying in more than one county; where judgments recorded. § 7A-200. District and set of districts defined; chief district court judges and their authority. § 7A-201. Reserved for future codification purposes. § 7A-202. Reserved for future codification purposes. § 7A-203. Reserved for future codification purposes. § 7A-204. Reserved for future codification purposes. § 7A-205. Reserved for future codification purposes. § 7A-206. Reserved for future codification purposes. § 7A-207. Reserved for future codification purposes. § 7A-208. Reserved for future codification purposes. § 7A-209. Reserved for future codification purposes. Article 19 - Small Claim Actions in District Court. § 7A-210. Small claim action defined. § 7A-211. Small claim actions assignable to magistrates. § 7A-211.1. Actions to enforce motor vehicle mechanic and storage liens. § 7A-212. Judgment of magistrate in civil action improperly assigned or not assigned. § 7A-213. Procedure for commencement of action; request for and notice of assignment. § 7A-214. Time within which trial is set. § 7A-215. Procedure upon nonassignment of small claim action. § 7A-216. Form of complaint. § 7A-217. Methods of subjecting person of defendant to jurisdiction. § 7A-218. Answer of defendant. § 7A-219. Certain counterclaims; cross claims; third-party claims not permissible. § 7A-220. No required pleadings other than complaint. § 7A-221. Objections to venue and jurisdiction over person. § 7A-222. General trial practice and procedure. § 7A-223. Practice and procedure in small claim actions for summary ejectment. § 7A-224. Rendition and entry of judgment. § 7A-225. Lien and execution of judgment. § 7A-226. Priority of judgment when appeal taken. § 7A-227. Stay of execution on appeal. § 7A-228. New trial before magistrate; appeal for trial de novo; how appeal perfected; oral notice; dismissal. § 7A-229. Trial de novo on appeal. § 7A-230. Jury trial on appeal. § 7A-231. Provisional and incidental remedies. § 7A-233. Reserved for future codification purposes. § 7A-234. Reserved for future codification purposes. § 7A-235. Reserved for future codification purposes. § 7A-236. Reserved for future codification purposes. § 7A-237. Reserved for future codification purposes. § 7A-238. Reserved for future codification purposes. § 7A-239. Reserved for future codification purposes. Article 20 - Original Civil Jurisdiction of the Trial Divisions. § 7A-240. Original civil jurisdiction generally. § 7A-241. Original jurisdiction in probate and administration of decedents' estates. § 7A-242. Concurrently held original jurisdiction allocated between trial divisions. § 7A-243. Proper division for trial of civil actions generally determined by amount in controversy. § 7A-245. Injunctive and declaratory relief to enforce or invalidate statutes; constitutional rights. § 7A-246. Special proceedings; exceptions; guardianship and trust administration. § 7A-248. Condemnation actions and proceedings. § 7A-250. Review of decisions of administrative agencies. § 7A-251. Appeal from clerk to judge. § 7A-252. Repealed by Session Laws 1971, c. 377, s. 32. § 7A-254. Reserved for future codification purposes. Article 21 - Institution, Docketing, and Transferring Civil Causes in the Trial Divisions. § 7A-255. Clerk of superior court processes all actions and proceedings. § 7A-256. Causes docketed and retained in originally designated trial division until transferred. § 7A-257. Waiver of proper division. § 7A-258. Motion to transfer. § 7A-259. Transfer on judge's own motion. § 7A-260. Review of transfer matters. § 7A-261. Repealed by Session Laws 1971, c. 377, s. 32. § 7A-262. Reserved for future codification purposes. § 7A-263. Reserved for future codification purposes. § 7A-264. Reserved for future codification purposes. § 7A-265. Reserved for future codification purposes. § 7A-266. Reserved for future codification purposes. § 7A-267. Reserved for future codification purposes. § 7A-268. Reserved for future codification purposes. § 7A-269. Reserved for future codification purposes. Article 22 - Jurisdiction of the Trial Divisions in Criminal Actions. § 7A-271. Jurisdiction of superior court. § 7A-272. Jurisdiction of district court; concurrent jurisdiction in guilty or no contest pleas for certain felony offenses; appellate and appropriate relief procedures applicable. § 7A-273. Powers of magistrates in infractions or criminal actions. § 7A-274. Power of mayors, law-enforcement officers, etc., to issue warrants and set bail restricted. § 7A-275. Repealed by Session Laws 1971, c. 377, s. 32. § 7A-276. Reserved for future codification purposes. Article 22A - Prohibited Orders. § 7A-276.1. Court orders prohibiting publication or broadcast of reports of open court proceedings or reports of public records banned. Article 23 - Jurisdiction and Procedure Applicable to Children. §§ 7A-277 through 7A-289: Repealed by Session Laws 1979, c. 815, s. 1. Article 24 - Juvenile Services. §§ 7A-289.1 through 7A-289.6: Repealed by Session Laws 1998-202, s. 1(a). § 7A-289.7: Repealed by Session Laws 1979, c. 815, s. 1. § 7A-289.8: Reserved for future codification purposes. § 7A-289.9: Reserved for future codification purposes. § 7A-289.10: Reserved for future codification purposes. § 7A-289.11: Reserved for future codification purposes. § 7A-289.12: Reserved for future codification purposes. Article 24A - Delinquency Prevention and Youth Services. §§ 7A-289.13 through 7A-289.16: Repealed by Session Laws 1998-202, s. 1(a). § 7A-289.17: Reserved for future codification purposes. § 7A-289.18: Reserved for future codification purposes. § 7A-289.19: Reserved for future codification purposes. § 7A-289.20: Reserved for future codification purposes. § 7A-289.21: Reserved for future codification purposes. Article 24B - Termination of Parental Rights. §§ 7A-289.22 through 7A-289.23. Repealed by Session Laws 1998-202, s. 5. § 7A-289.23A. Recodified as § 7B-1102. §§ 7A-289.24 through 7A-289.35: Repealed by Session Laws 1998-202, s. 5. Article 25 - Jurisdiction and Procedure in Criminal Appeals from District Courts. § 7A-290. Appeals from district court in criminal cases; notice; appeal bond. Article 26 - Additional Powers of District Court Judges and Magistrates. § 7A-291. Additional powers of district court judges. § 7A-292. Additional powers of magistrates. § 7A-293. Special authority of a magistrate assigned to a municipality located in more than one county of a district court district. § 7A-294: Reserved for future codification purposes. § 7A-295: Reserved for future codification purposes. § 7A-296: Reserved for future codification purposes. § 7A-297: Reserved for future codification purposes. § 7A-298: Reserved for future codification purposes. § 7A-299: Reserved for future codification purposes. Article 27 - Expenses of the Judicial Department. § 7A-300. Expenses paid from State funds. § 7A-300.1. Local supplementation of salaries for certain officers and employees. § 7A-301. Disbursement of expenses. § 7A-302. Counties and municipalities responsible for physical facilities. § 7A-303. Equipment and supplies in clerk's office. Article 28 - Uniform Costs and Fees in the Trial Divisions. § 7A-304. Costs in criminal actions. § 7A-305. Costs in civil actions. § 7A-305.1. Discovery, fee on filing verified petition. § 7A-306. Costs in special proceedings. § 7A-307. Costs in administration of estates. § 7A-308. Miscellaneous fees and commissions. § 7A-308.1. Fees on deposits and investments. § 7A-309. Magistrate's special fees. § 7A-310. Fees of commissioners and assessors appointed by magistrate. § 7A-311. Uniform civil process fees. § 7A-312. Uniform fees for jurors; meals. § 7A-313. Uniform jail fees. § 7A-313.1. Fee for costs of electronic monitoring. § 7A-314. Uniform fees for witnesses; experts; limit on number. § 7A-314.1. Family court fees. § 7A-315. Liability of State for witness fees in criminal cases when defendant not liable. § 7A-316. Payment of witness fees in criminal actions. § 7A-317. Counties and municipalities required to advance costs and fees. § 7A-317.1. Disposition of fees in counties with unincorporated seats of court. § 7A-318. Determination and disbursement of costs on and after date district court established. § 7A-319. Repealed by Session Laws 1971, c. 377, s. 32. § 7A-320. Costs are exclusive. § 7A-321. Collection of offender fines and fees assessed by the court; collection assistance fee. § 7A-322. Reserved for future codification purposes. § 7A-323. Reserved for future codification purposes. § 7A-324. Reserved for future codification purposes. § 7A-325. Reserved for future codification purposes. § 7A-326. Reserved for future codification purposes. § 7A-327. Reserved for future codification purposes. § 7A-328. Reserved for future codification purposes. § 7A-329. Reserved for future codification purposes. § 7A-330. Reserved for future codification purposes. § 7A-331. Reserved for future codification purposes. § 7A-332. Reserved for future codification purposes. § 7A-333. Reserved for future codification purposes. § 7A-334. Reserved for future codification purposes. § 7A-335. Reserved for future codification purposes. § 7A-336. Reserved for future codification purposes. § 7A-337. Reserved for future codification purposes. § 7A-338. Reserved for future codification purposes. § 7A-339. Reserved for future codification purposes. Article 29 - Administrative Office of the Courts. § 7A-340. Administrative Office of the Courts; establishment; officers. § 7A-341. Appointment and compensation of Director. § 7A-342. Appointment and compensation of assistant director and other employees. § 7A-343. Duties of Director. § 7A-343.1. Distribution of copies of the appellate division reports. § 7A-343.2. Court Information Technology Fund. § 7A-343.3. Appellate Courts Printing and Computer Operations Fund. § 7A-343.4. Internal audit standards; report and work papers. § 7A-343.6. Electronic filing in Chapter 50B and Chapter 50C cases. § 7A-344: Repealed by Session Laws 2000-144, s. 4. § 7A-345. Duties of assistant director. § 7A-346. Information to be furnished to Administrative Officer. § 7A-346.1: Repealed by Session Laws 2000-67, s. 15(b). § 7A-346.2. Various reports to General Assembly. § 7A-346.3. (Contingent effective date - see editor's note) Impaired driving integrated data system report. § 7A-347. District attorney legal assistants. § 7A-348. Training and supervision of district attorney legal assistants. § 7A-349. Criminal history record check; denial of employment, contract, or volunteer opportunity. § 7A-350. Annual report on criminal court cost waivers. § 7A-351. Reserved for future codification purposes. § 7A-352. Reserved for future codification purposes. § 7A-353. Reserved for future codification purposes. § 7A-354. North Carolina Human Trafficking Commission. Article 29A - Trial Court Administrators. § 7A-355. Trial court administrators. § 7A-357. Reserved for future codification purposes. § 7A-358. Reserved for future codification purposes. § 7A-359. Reserved for future codification purposes. § 7A-360. Reserved for future codification purposes. § 7A-361. Reserved for future codification purposes. § 7A-362. Reserved for future codification purposes. § 7A-363. Reserved for future codification purposes. § 7A-364. Reserved for future codification purposes. § 7A-365. Reserved for future codification purposes. § 7A-366. Reserved for future codification purposes. § 7A-367. Reserved for future codification purposes. § 7A-368. Reserved for future codification purposes. § 7A-369. Reserved for future codification purposes. § 7A-370. Reserved for future codification purposes. § 7A-371. Reserved for future codification purposes. § 7A-372. Reserved for future codification purposes. § 7A-373. Reserved for future codification purposes. § 7A-374. Reserved for future codification purposes. Article 30 - Judicial Standards Commission. § 7A-375. Judicial Standards Commission. § 7A-376. Grounds for discipline by Commission; public reprimand, censure, suspension, or removal by the Supreme Court. § 7A-378: Repealed by Session Laws 2013-404, s. 4, effective August 23, 2013. § 7A-379. Reserved for future codification purposes. § 7A-380. Reserved for future codification purposes. § 7A-381. Reserved for future codification purposes. § 7A-382. Reserved for future codification purposes. § 7A-383. Reserved for future codification purposes. § 7A-384. Reserved for future codification purposes. § 7A-385. Reserved for future codification purposes. § 7A-386. Reserved for future codification purposes. § 7A-387. Reserved for future codification purposes. § 7A-388. Reserved for future codification purposes. § 7A-389. Reserved for future codification purposes. § 7A-390. Reserved for future codification purposes. § 7A-391. Reserved for future codification purposes. § 7A-392. Reserved for future codification purposes. § 7A-393. Reserved for future codification purposes. § 7A-394. Reserved for future codification purposes. § 7A-395. Reserved for future codification purposes. § 7A-396. Reserved for future codification purposes. § 7A-397. Reserved for future codification purposes. § 7A-398. Reserved for future codification purposes. § 7A-399. Reserved for future codification purposes. Article 31 - Judicial Council. §§ 7A-400 through 7A-408. Repealed by Session Laws 1983, c.774, s. 1. Article 31A - State Judicial Council. § 7A-409. Composition of State Judicial Council. § 7A-409.1. Duties of the State Judicial Council. § 7A-409.2. Compensation of the State Judicial Council. Article 31B - Declaration of Vacancy, Suspension of Salary. § 7A-410. Vacancy exists on disbarment. § 7A-410.1. Suspension of salary. Article 32 - Conference of District Attorneys. § 7A-411. Establishment and purpose. § 7A-412. Annual meetings; organization; election of officers. § 7A-413. Powers of Conference. § 7A-414. Executive Secretary; clerical support. § 7A-415. Reserved for future codification purposes. § 7A-416. Reserved for future codification purposes. § 7A-417. Reserved for future codification purposes. § 7A-418. Reserved for future codification purposes. § 7A-419. Reserved for future codification purposes. § 7A-420. Reserved for future codification purposes. § 7A-421. Reserved for future codification purposes. § 7A-422. Reserved for future codification purposes. § 7A-423. Reserved for future codification purposes. § 7A-424. Reserved for future codification purposes. § 7A-425. Reserved for future codification purposes. § 7A-426. Reserved for future codification purposes. § 7A-427. Reserved for future codification purposes. § 7A-428. Reserved for future codification purposes. § 7A-429. Reserved for future codification purposes. § 7A-430. Reserved for future codification purposes. § 7A-431. Reserved for future codification purposes. § 7A-432. Reserved for future codification purposes. § 7A-433. Reserved for future codification purposes. § 7A-434. Reserved for future codification purposes. § 7A-435. Reserved for future codification purposes. § 7A-436. Reserved for future codification purposes. § 7A-437. Reserved for future codification purposes. § 7A-438. Reserved for future codification purposes. § 7A-439. Reserved for future codification purposes. § 7A-440. Reserved for future codification purposes. § 7A-441. Reserved for future codification purposes. § 7A-442. Reserved for future codification purposes. § 7A-443. Reserved for future codification purposes. § 7A-444. Reserved for future codification purposes. § 7A-445. Reserved for future codification purposes. § 7A-446. Reserved for future codification purposes. § 7A-447. Reserved for future codification purposes. § 7A-448. Reserved for future codification purposes. § 7A-449. Reserved for future codification purposes. Article 36 - Entitlement of Indigent Persons Generally. § 7A-450. Indigency; definition; entitlement; determination; change of status. § 7A-450.1. Responsibility for payment by certain fiduciaries. § 7A-450.2. Determination of fiduciaries at indigency determination; summons; service of process. § 7A-450.3. Determination of responsibility at hearing. § 7A-451. Scope of entitlement. § 7A-451.1. Counsel fees for outpatient involuntary commitment proceedings. § 7A-452. Source of counsel; fees; appellate records. § 7A-453. Duty of custodian of a possibly indigent person; determination of indigency. § 7A-455. Partial indigency; liens; acquittals. § 7A-455.1. Appointment fee in criminal cases. § 7A-456. False statements; penalty. § 7A-457. Waiver of counsel; pleas of guilty. § 7A-459: Repealed by Session Laws 2000-144, s. 13, as amended by Session Laws 2001-424, s. 22.11(c). § 7A-460: Reserved for future codification purposes. § 7A-461: Reserved for future codification purposes. § 7A-462: Reserved for future codification purposes. § 7A-463: Reserved for future codification purposes. § 7A-464: Reserved for future codification purposes. Article 37 - The Public Defender. §§ 7A-465 through 7A-467: Repealed by Session Laws 2000-144, s. 13, as amended by Session Laws 2001-424, s. 22.11(c), effective July 1, 2001. § 7A-468: Repealed by Session Laws 1987 (Regular Session, 1988), c. 1056, s. 13. §§ 7A-469 through 7A-471: Repealed by Session Laws 2000-144, s. 13, as amended by Session Laws 2001-424, s. 22.11(c), effective July 1, 2001. § 7A-472. Reserved for future codification purposes. § 7A-473. Reserved for future codification purposes. § 7A-474. Reserved for future codification purposes. Article 37A - Access to Civil Justice Act. §§ 7A-474.1 through 7A-474.5: Repealed by Session Laws 2017-57, s. 18B.10(c), effective June 28, 2017. § 7A-474.6: Reserved for future codification purposes. § 7A-474.7: Reserved for future codification purposes. § 7A-474.8: Reserved for future codification purposes. § 7A-474.9: Reserved for future codification purposes. § 7A-474.10: Reserved for future codification purposes. § 7A-474.11: Reserved for future codification purposes. § 7A-474.12: Reserved for future codification purposes. § 7A-474.13: Reserved for future codification purposes. § 7A-474.14: Reserved for future codification purposes. § 7A-474.15: Reserved for future codification purposes. Article 37B - Domestic Violence Victim Assistance Act. § 7A-474.16. Legislative findings and purpose. § 7A-474.18. Eligible activities and limitations. § 7A-474.20. Records and reports. Article 38 - Appellate Defender Office. §§ 7A-475 through 7A-485: Expired. Article 38A - Appellate Defender Office. §§ 7A-486 through 7A-486.7: Repealed by Session Laws 2000-144, s. 13, as amended by Session Laws 2001-424, s. 22.11(c), effective July 1, 2001. § 7A-487. Reserved for future codification purposes. § 7A-488. Reserved for future codification purposes. Article 39 - Guardian Ad Litem Program. §§ 7A-489 through 7A-493. Repealed by Session Laws 1998-202, s. 5, effective July 1, 1999. Article 39A - Custody and Visitation Mediation Program. § 7A-494. Custody and Visitation Mediation Program established. § 7A-495. Implementation and administration. § 7A-496. Reserved for future codification purposes. § 7A-497. Reserved for future codification purposes. Article 39B - Indigent Defense Services Act. § 7A-498.2. Establishment of Office of Indigent Defense Services. § 7A-498.3. Responsibilities of Office of Indigent Defense Services. § 7A-498.4. Establishment of Commission on Indigent Defense Services. § 7A-498.5. Responsibilities of Commission. § 7A-498.6. Director of Indigent Defense Services. § 7A-498.7. Public Defender Offices. § 7A-498.9. Annual report on Office of Indigent Defense Services. § 7A-499. Reserved for future codification purposes.  Article 40 - North Carolina Courts Commission. §§ 7A-500 through 7A-505: Repealed by Session Laws 1975, c. 956, s. 18. Article 40A - North Carolina Courts Commission. § 7A-506. Creation; members; terms; qualifications; vacancies.